1 - Use Better Keywords. 2 - Have Proper Keyword Density. In the context of search engine optimization, keyword density can be used to determine whether a web page is relevant to a specified keyword or keyword phrase. Many SEO experts consider the optimum keyword density to be 1 to 3 percent; more could be considered search spam. 3 - Publish New Content Regularly. You must update your website with articles, downloads, and new web pages, the more frequently a search engine will stop by to visit your website. When search engines look at your site more frequently, you have the opportunity to achieve higher rankings based on the content you provide. 4 - Choose The Best Formats. We have done several testing with Google AdSense over the years on our own websites. 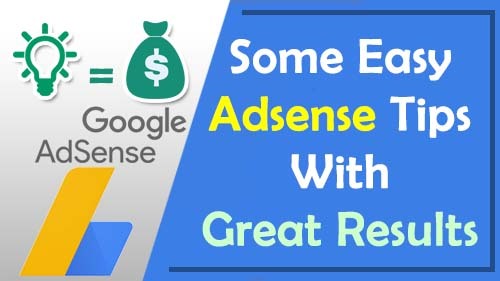 Below are the top performing Google AdSense banner sizes and ad formats that offer the best value for your advertising. This ad format supports both display / text ads, and it can also be used on mobile layouts. The best part about this ad size is that it’s easy to fit in the sidebar or inside the content area without annoying users. Large rectangle takes the second position on our list. It is larger and more noticeable than the medium rectangle ad above, but it may not fit in all website sidebars and is not mobile optimized. The leaderboard is a traditional banner ad size that is perfect for website header. It supports both text and image ad formats but doesn’t support mobile ads. Large Skyscraper is a wide vertical banner also known as half page due to its size. It gets attention from advertisers who want more ad space to effectively communicate their message during retargeting. Large mobile banner is a mobile ad format, and it is an equivalent of the leaderboard ad format in terms of effectiveness but for mobile devices. Ideally it works best when placed on top just below the header. Mobile leaderboard is half in height compared to the large mobile banner ad format. It is slightly less effective but also less intrusive and offers even better ad experience on smaller mobile devices. The wide skyscraper is a vertical banner ad that is designed specifically for narrow sidebars. It supports both image and text ad formats and is popular among advertisers. Portrait is a slightly wider and longer vertical banner. Due to its size, this ad format attracts brand-centric advertisers who want more ad space for their message. The billboard is another brand-centric ad format. It is a wide horizontal banner ad that can be ideally placed on top or bottom of your pages. It tends to get better ads due to the space it offers to the advertisers, but it has a smaller ad inventory. Generally larger ads are considered more noticeable. However, not all websites are designed in the same fashion. 5 - Color Coordinate The Ads. Choosing the right ad styles can mean the difference between ads your users will notice -- and click -- and ads they'll skip right over. We've outlined a few strategies below that are designed to decrease ad blindness, the tendency for users to ignore anything that's separate from the main content of your site. By making these changes, you'll be making your ads more visible to users. 6 - Position The Ads Well. 7 - Don't Use Too Many Ads. How to calculate and increase your CPC?